Noe Valley is a neighborhood nestled in central San Francisco, bordered by 21st Street, Dolores Street, 30th Street, and Grand View Avenue. Located east of Mission District, the neighborhood covers less than one square mile, and is currently home to more than 22,000 residents. 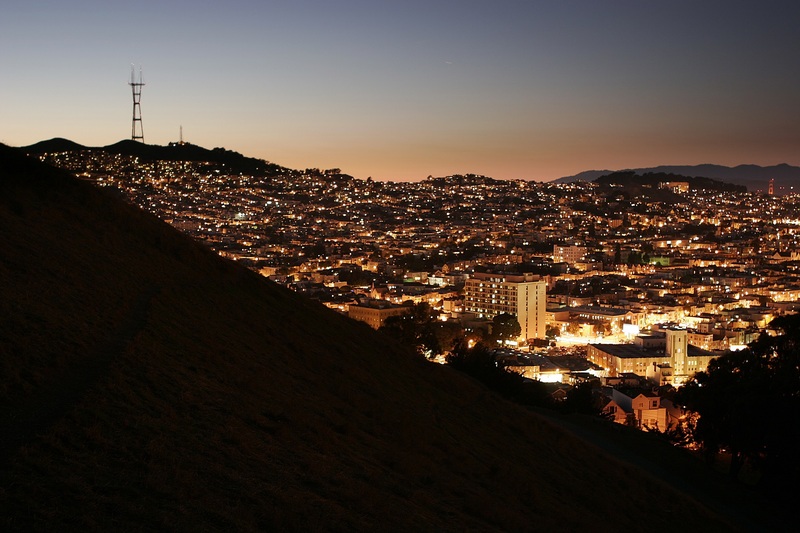 Noe Valley is named in honor of Jose de Jesus Noe, the original owner of the land as well as the last Mexican mayor of Yerba Buena, which is present-day San Francisco. The land used to be part of Noe’s Rancho San Miguel, before it was sold to John Meirs Horner in 1854. Surrounded by distant views of downtown San Francisco, Noe Valley is a very family-friendly neighborhood with a laidback atmosphere and a small-town allure. On weekends, its common to see many residents shopping for fresh produce at the farmer’s market, hanging out at cafés and outdoor bistros, or visiting the specialty shops and artisanal boutiques along Main Street. The vibe is perfect for young professionals, growing families, and just about anyone looking for the very best of San Francisco living. Noe Valley’s selection of apartments can satisfy a wide variety of renters and buyers looking for the perfect place to call home. Apartments in the area are available in different floor plans and sizes, and some offer access to first-class amenities such as fitness centers, BBQ/picnic areas, heated outdoor pools, and more. One of the best things about living in Noe Valley is everything’s a short trip away – the neighborhood is very walkable, and has easy access to public transportation. No matter which part of the neighborhood you live in, you’ll be a few minutes away from wine and cheese shops, award-winning restaurants and bakeries, clothing boutiques, farmer’s markets, and top-performing schools. Upper Douglass Dog Park is one of the newest spots for dog lovers in Noe Valley. The park overlooks the city and offers panoramic views of the bay, along with an enclosed space where you can allow your dog to roam free. Another great recreational venue is the Upper Noe Recreation Center, which features basketball and tennis courts, a play area for dogs, a playground with sandpit, a multipurpose field, a baseball diamond, and a recreational facility for seniors. Noe Valley is home to a wide variety of unique retail establishments. Those looking forward to boutique shopping can check out Ambiance, which features an assortment of classic and trendy styles, For culinary enthusiasts, there’s the popular Omnivore Books, which carries an impressive collection of new, vintage, and signed cookbooks – these are just some of the many one-of-a-kind boutiques you’ll find in Noe Valley.